Akanksha alleged that she named Yuvraj in the complaint as he was a mute spectator during her predicament. 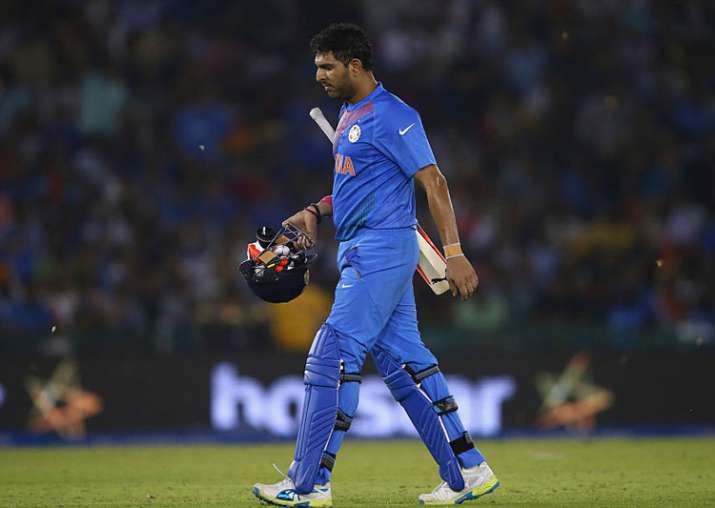 Veteran cricketer Yuvraj Singh has been named in a complaint of domestic violence filed by his sister-in-law Akanksha Sharma but his family lawyer said that no case has been registered against the player. The complaint was filed against Yuvraj's younger brother Zoravar Singh Bhundel and mother Shabnam Singh for alleged mental and financial torture. A court in Gurugram has issued a notice to Yuvraj and his family to respond by October 21 when the first hearing on the case will take place. Akanksha has alleged that she was under pressure from her in-laws who wanted her to have a baby. She has also alleged that she named Yuvraj in the complaint as he was a mute spectator during her predicament. "Not a single day had gone when I did not go to bed in that house crying," CNN-News18 quoted Akanksha as saying on Wednesday. The matter will be investigated by an SDM or lady police officer who will submit a report to the court. "Yes, Akanksha has filed a case of domestic violence against Yuvraj, Zoravar and their mother Shabnam," a website quoted Akanksha's lawyer Swati Singh as saying. "Look, domestic violence does not mean just physical violence. It also means mental and financial torture, which can be attributed to Yuvraj. Yuvraj was a mute spectator to the suffering caused to my client by Zoravar and his mother," she added. "When Zoravar and his mother were pressurising Akanksha to have a baby, Yuvraj too had joined in to do the same. He too told Akanksha to have a baby'. He was hand-in-glove with his mother." Damanbir Singh Sobti, counsel for Yuvraj, Shabnam and Zoravar, denied that any case was registered against the cricketer. In a press statement issued in Chandigarh on Wednesday, Sobti said: "There are certain misrepresentations being made in social media that a criminal complaint or an FIR has been registered against my clients on the basis of false and baseless allegations. No such FIR or complaint has been filed." "Akanksha has filed a petition under Section 25 of the Protection of Women from Domestic Violence Act, 2005 and my clients have been arrayed as respondents and their counsel shall appear on their behalf on the date fixed by the Hon'ble Court at Gurgaon. "The petition under the Protection for Women from Domestic Violence Act, 2005 filed by Akanksha Sharma is malafide, baseless and time-barred. She had left her matrimonial house admittedly in September 2015 and has now chosen to file this petition at the end of 2017," the lawyer's statement added. He said that Akanksha had filed a petition in the Supreme Court seeking transfer of the case and the matter was worked out between both parties and Zorawar filed a petition for granting divorce by mutual consent. "In the interregnum, Akanksha appeared in a show called Big Boss 10 run on Colors channel where she made certain scandalous, derogatory and defamatory statements/imputations against my clients Shabnam and Zorawar. "However, she categorically stated that she had nothing against Yuvraj Singh and that he was very nice to her. The said allegations levelled by her dented the reputation and image of two of my clients above named, for which one of my clients namely Shabnam Singh has filed a civil suit for recovery of an amount assessed at Rs.2 crore," the statement said.